A popular YouTube singer-songwriter has found a unique use for motorcycles: employing them as musical instruments. In the video for her new song "Can't Feel My Face," California singer Kina Grannis teams with fellow artist Fresh Big Mouf and uses sounds made by a Yamaha R6 to create the song's beats and bass line. The video shows Fresh Big Mouf revving the popular sport bike, as well as striking its tank and tires to create sounds that are then looped into the track. A Schuberth helmet also contributes to the tune. 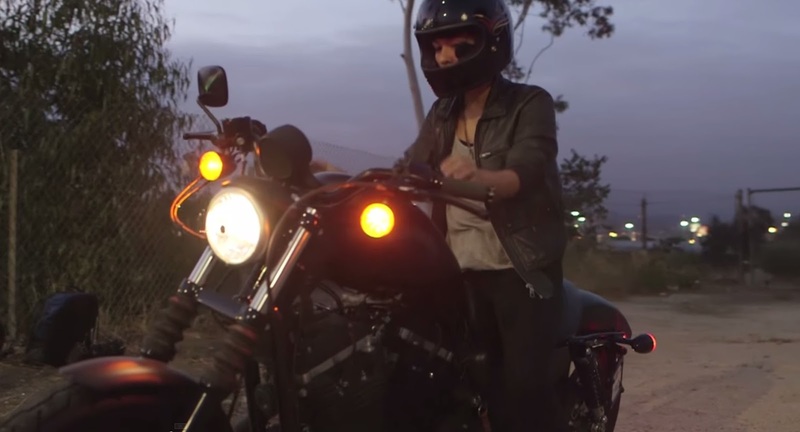 Grannis, meanwhile, is seen riding a Harley-Davidson Iron 883 Sportster. It does not appear, however, that the Harley plays any part in the actual song. Grannis is one of a number of modern artists who have eschewed the traditional path of securing a recording contract from a major label, choosing instead to operate independently and rely on more direct interaction with her fans -- particularly those who support her via the Patron website.